Summer has so far, been an absolute scorcher, and I’m not just talking about the weather! 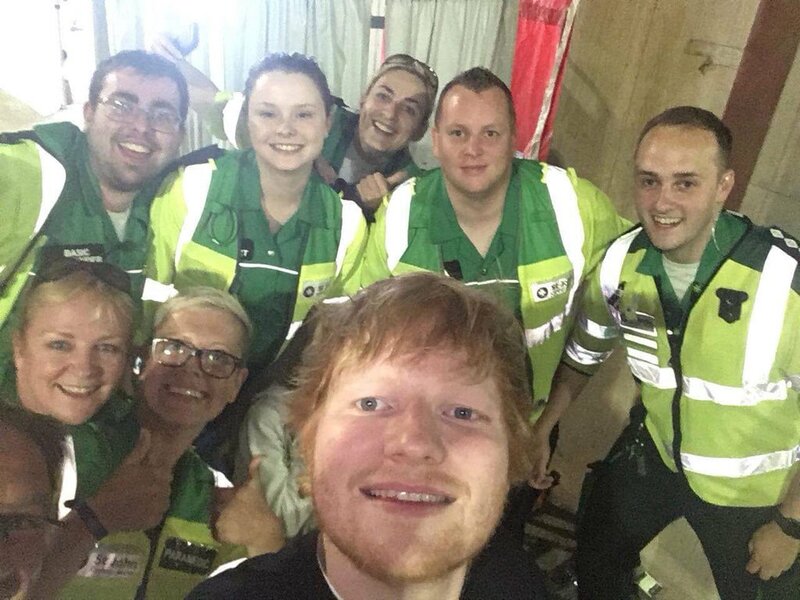 Our busy summer events season began early this year, when we provided first aid cover for the BBC Radio 1’s Biggest Weekend in Singleton Park back in May. The event saw over 26,000 people from across Wales and the rest of the UK enjoy music from the likes of Ed Sheeran, Taylor Swift, Jason Derulo to name a few on what was one of the hottest weekends on record for that month! The following weekend, we supported the week-long Urdd Eisteddfod in Builth Wells, improving our Welsh language skills along the way. Then before we knew it, it was June, where we were at the Principality Stadium as it welcomed The Rolling Stones, Beyonce & Jay Z and four hugely successful nights of Ed Sheeran. We were also there when The Killers took centre stage and rocked the Liberty Stadium and when Llangollen held it's annual eisteddfod - we even found a friend for Bertie! 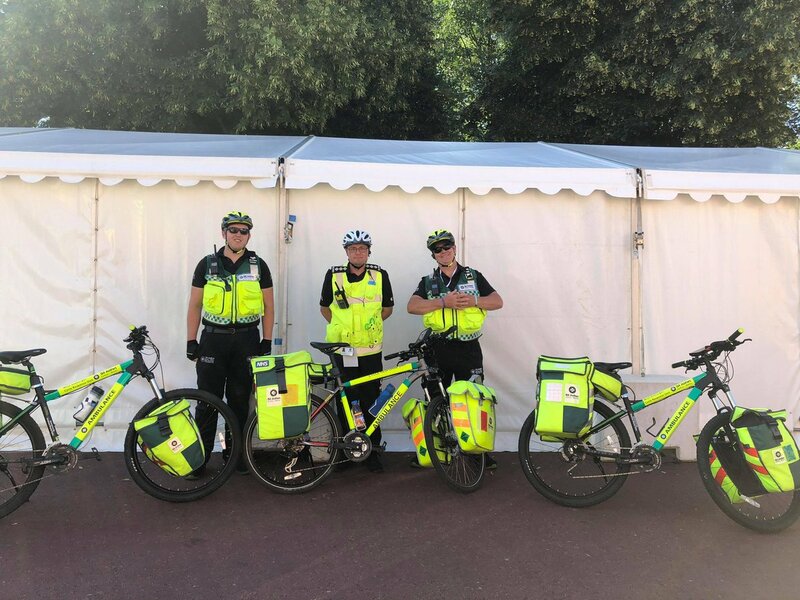 And it’s not just music lovers we’ve been keeping safe this summer; our hard-working volunteers have been on hand to help visitors and participants at sporting events too. So if you’re one for challenging yourself and tackling the great outdoors, you may have seen us at Dragon Ride L’Etape Wales by Le Tour de France, Volvo Ocean Race, Swansea Half Marathon, Velathon Wales or the Long Course Weekend where we were out and about providing first aid on the front line. You may have caught a glimpse of us at the England v Australia one day international which took place at The SSE SWALEC Stadium, Sophia Gardens and saw an England win because we were there too! Our volunteers aren’t the only ones to have been hard at work this summer. Our replica WW1 ambulance has been on tour across Wales too. Thanks to the Heritage Lottery Fund, we’ve been educating the nation about first aid during two world wars and our 100 year history to celebrate our centenary. 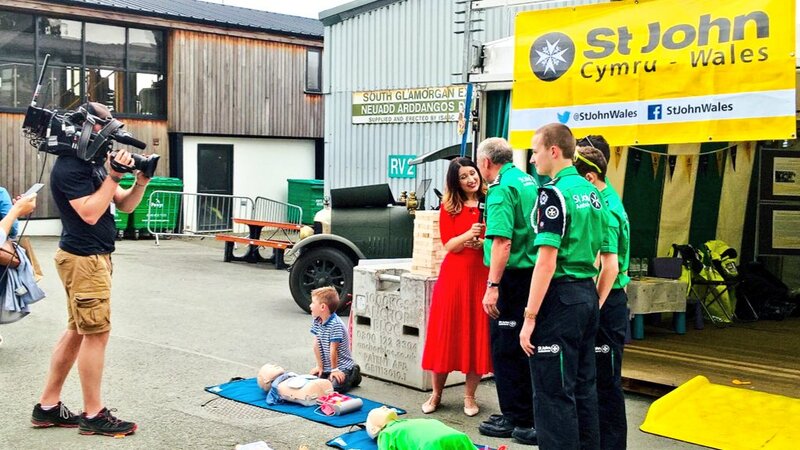 With first aid re-enactments from our Cadet groups and fun and engaging activities available at our event stands, we’ve helped spread the word of St John Cymru to thousands of members of the Welsh public. And our summer isn’t over yet! There’s so many more amazing events to come too. The Caerphilly Big Cheese, the National Eisteddfod and Rhyl Airshow are just a few which spring to mind. 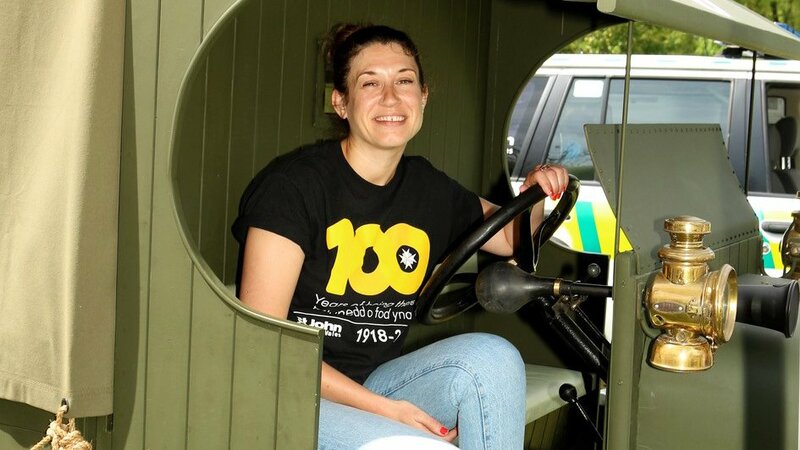 So whether you’d like first aid advice, to learn about our history or even toot the horn of our centenary ambulance, we’d love to see you at an upcoming event. I think it’s fair to say we’ve had one of our busiest summers ever - and we’ve loved every minute of it! We can’t thank our hardworking and dedicated volunteers enough for helping us make every event attended so far an overwhelming success. 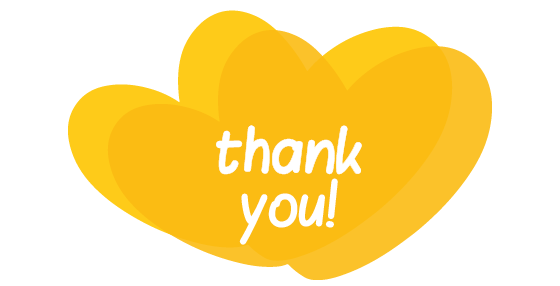 Thanks also to the continuous generosity of our supporters who enable us to recruit active volunteers and prepare them with the necessary skills and equipment to safely cover events. You too could help us continue our lifesaving work and ensure we’re there for summers to come by choosing to donate, becoming a volunteer, pushing your boundaries and taking on an extreme challenge like skydiving for us, or, you could attend one of our upcoming fundraising events. Whatever you choose, thank you!